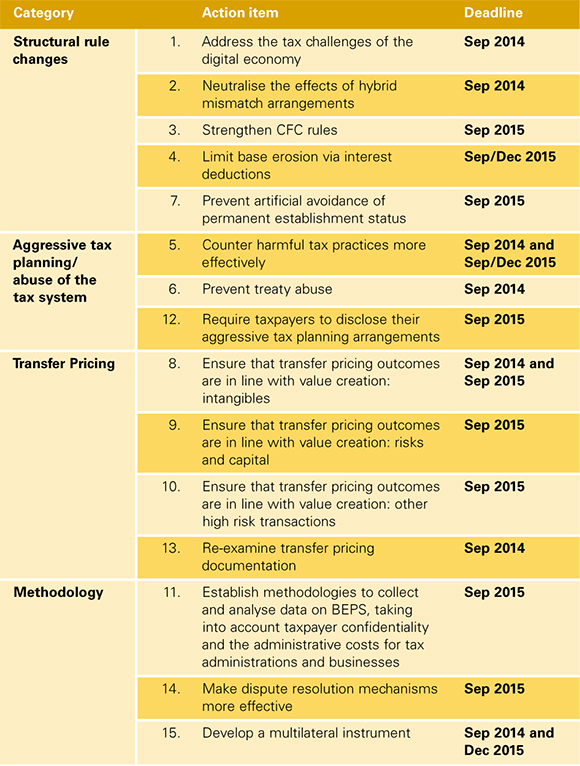 An ambitious international effort calling for a coordinated approach to rewrite global tax rules over profit shifting risks being undermined by the number of growing countries that are unilaterally introducing significant tax reforms, warn tax experts. The Paris-based Organisation for Economic Co-operation and Development (OECD), backed by the G20 Finance Ministers, proposed in July 2013 a sweeping series of proposals that take aim at aggressive international tax planning by multinational companies in the wake of intense political scrutiny and public outcry over the likes of Apple Inc., Google Inc. and Starbucks moving billions of profits out of higher-tax countries into low or no-tax jurisdictions. The combination of tight deadlines and mounting political and public pressure to address gaps and mismatches in tax rules does not lend itself to an informed and thorough analysis nor a careful balancing of policy objectives, adds Kennedy, a partner with Bennett Jones LLP in Toronto. On top of that, many countries are not waiting for the OECD to rebuild the international tax system. 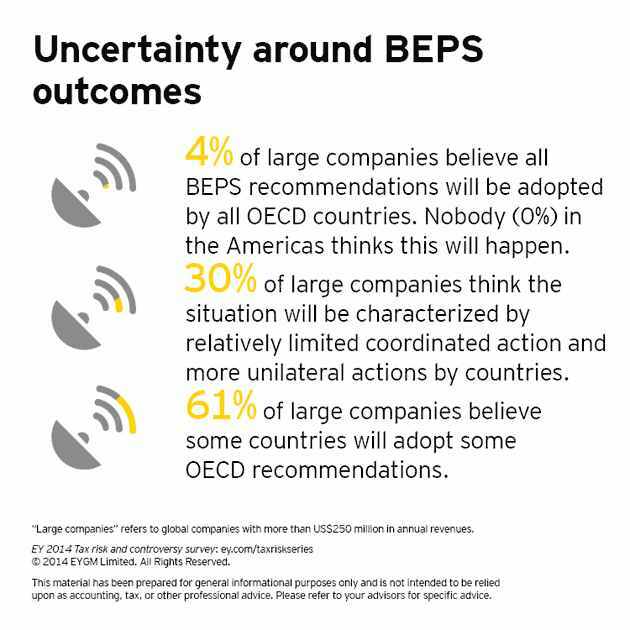 Instead these countries are using the attention and publicity around the BEPS initiative to adopt interim measures to protect their respective tax bases. Many, for instance, are introducing or enacting anti-avoidance rules. In the lead up to the national election in May, the United Kingdom released the diverted profits tax provisions within its draft Finance Bill 2015. The diverted profits tax is a new tax, charged at 25 per cent on profits that are considered to be “artificially diverted” from the UK. Another European country, Austria, promulgated a rule that denies a deduction for interest and royalties paid to related parties in low-tax jurisdictions. Australia, besides enforcing its existing anti-avoidance rules, released stricter debt funding rules and new transfer pricing guidelines for the practice of assigning prices to goods and services sold between controlled or related legal entities within an enterprise. Canada nearly joined the list of growing countries acting unilaterally. The Finance Department published a consultation paper on treaty shopping, or the practice of structuring a multinational business to take advantage of more favorable tax treaties available in certain jurisdictions, with the aim of introducing its own plan for a domestic treaty override to combat treaty shopping. “Adopting measures that prevent treaty shopping, as some other countries have done, would protect the integrity of Canada’s tax treaties,” said the consultation paper. But last August, the federal government had a change of heart and quietly shelved its domestic initiative to wait for the BEPS proposals under Action 6 on anti-treaty abuse. At the same time that countries are tightening tax rules and using aggressive audit tactics such as the Australian Tax Office which is increasingly scrutinizing multinationals through the use of a new special task force or Mexico which is contemplating applying BEPS concepts to previous transactions involving business restructurings, they are also forging ahead and providing tax incentives for multinationals to invest in their jurisdictions, observed Steeves. Patent boxes are a case in point. Designed to attract and nurture research and development companies, patent boxes provide a lower tax rate on profits from work related to patents. “A preferential regime is useful in supporting growth and innovation in a country if it attracts real activity,” said the OECD. “It is not so if it merely encourages companies to shift profits from the location in which the value was actually created to another location where they may be taxed at a lower rate.” Patent boxes have become a sticky point for negotiators involved in the BEPS project. Many countries and organizations like the European Commission view patent boxes as “harmful tax competition,” but the handful of countries that offer it like Britain, Cyprus, and the Netherlands, are resisting pressure from other nations, asserting that it encourages innovation and high-value jobs in research.